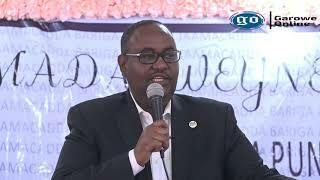 MOGADISHU, Somalia Oct 30, 2014 (Garowe Online) –Somalia Police Force Commander-in-Chief Gen. Mohamed Sheikh Hassan Ismael has untimely died of what seems to be heart attack in volatile Mogadishu on Thursday afternoon, Garowe Online reports. 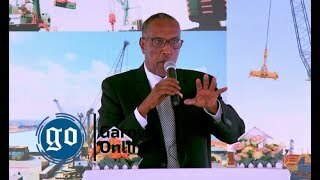 Speaking at a press conference, National Security Minister Khalif Ahmed Ereg has unveiled that Federal Government of Somalia's Prime Minister Abdiweli Sheikh Ahmed Mohamed assigned Osman Omar Weheliye (Gas Gas)-his deputy-to the post as interim police boss. 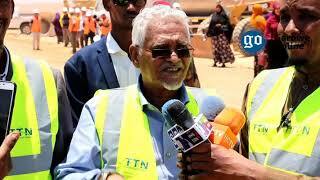 The Prime Minister sent a condolence to the Somali people and bereaved families over the death of Gen. Ismael. 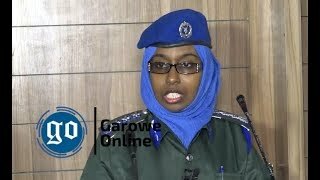 As the death of Somali Police Force Chief remains mysterious,Mohamed announced a five-member ministerial committee led by Religious Affairs Minister and Deputy Prime Minister Ridwan Hirsi Abdulle in a bid to launch investigations into the matters pertaining to the demise of the high-ranking security official. President Hassan Sheikh Mohamud and Parliament Speaker Mohamed Sheikh Osman Jawari also expressed deep sense of condolence. 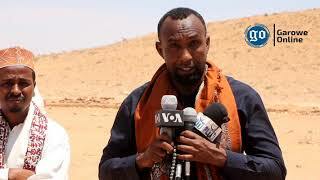 Late Ismael took on the top security post with Somalia’s Federal Government in July this year.